John McEnroe doubles down on Serena Williams claim, suggests men play women | Circa News - Learn. Think. Do. 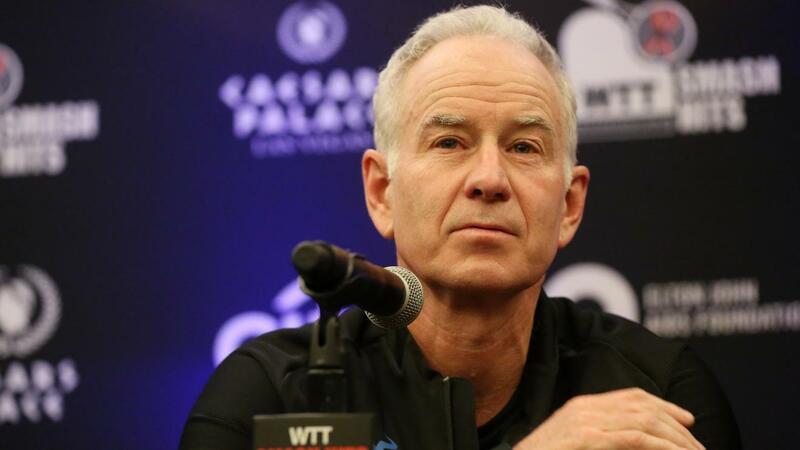 Tennis legend John McEnroe isn't backing down after saying that Serena Williams would be ranked "like 700 in the world" if she played on the men's circuit, and he suggested having men play against women to prove his claim. "I've got a solution," McEnroe said, according to the BBC. "Men and women play together." "Then we don't have to guess," McEnroe said. "I'm sure the men would be all for it." McEnroe lauded Williams -- winner of a record 23 Grand Slam singles titles -- as the greatest women's player of all time in an interview with NPR, but his effort to compare her to men's players generated plenty of discussion and some backlash. Williams, who confirmed her pregnancy in April, took to Twitter following McEnroe's remarks and asked him "to respect me and my privacy as I'm trying to have a baby." Dmitry Tursunov, the 701st-ranked men's player in the world, suggested Tuesday to the BBC that he could beat Williams. "I would hope that I would win against Serena," said the 34-year-old Russian. Physically I might not be in the best shape of my life but as an overall package I'm much better than my ranking would suggest," Tursunov added. "She is pregnant, and I'm not." Williams displayed her growing baby bump on the most recent cover of Vanity Fair. McEnroe's suggestion that men play women calls to mind the 1973 "Battle of the Sexes" that pitted Bobby Riggs against Billie Jean King. Riggs, a former world No. 1 who was then 55 years old, had said he could beat any of the top women's players. He took on King, then the top-ranked women's player, in an exhibition match at the Houston Astrodome. King, who was 26 years younger than Riggs, won the match 6-4, 6-3, 6-3.